The topicality of studying the process of running-in tribosystems with bearing alloys in order to assess and predict the level of heat in them and their thermal state is substantiated in the article. The results of study of thermogenesis and thermal state tribosystems, experimentally obtained during running-in under increasing load are presented. The objects of study were the traditional and new materials for the plain bearings. The mathematical modeling of the process of running-in with modern ideas in tribology and the results obtained by the author is held. A theoretical relationship, confirmed by the results of experiments, which indicates that are accuracy of the accepted theoretical hypotheses is received. The basis factors of influence on the thermogenesis and thermal state tribosystems with bearing materials are installed. Recommendations for effective technological running-in tribosystems are given. Keywords: deformation, surface, running-in, tribosystem, material, bearing, temperature, state, properties. Zelinskiy V.V. 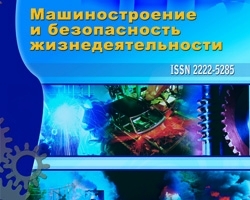 The condition of plastic equilibrium friction loaded surfaces // Production technology and product quality: Proceedings of IV International Scientific and Technical Conference – Vladimir-Moscow: New Technologies, 2001. – P. 203-206. Zelinskiy V.V. Estimation compatibility tribosystems containing bearing alloys // Engineering industry and life safety, 2012, № 1. – P. 55-58. Bushe N.A., Zielinskiy V.V., Trushin V.V. Assessment regimes of friction and resistance friction units // Friction and wear, 1986, V.7, № 5. – P. 798-805. Heat buildup during running tribosystems with bearing alloys, №3 (13) 2012, Zelinskiy V.V.